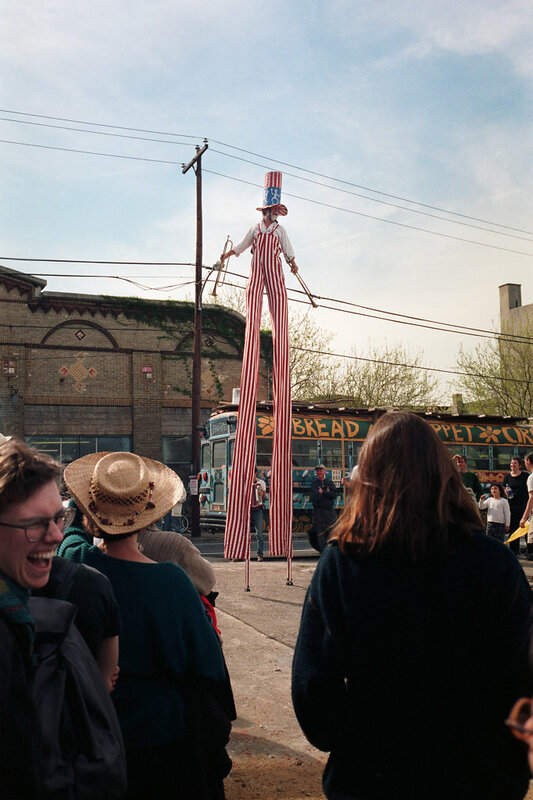 In conjunction with Bread & Puppet's next Philly appearances this May 2-5 I'll be showing some photos from past performances. Come see the photos then go see Diagonal Life: Theory and Praxis at the Rotunda! Opening April 11, 2019 from 6-9PM. Learn more about Bread & Puppet and the Diagonal Life shows at the Rotunda. Somerton, a zine of photos from Northeast Philadelphia in the 1980s drawn from my archives, is available from the Gravy store. This issue contains photos outside of George Washington High School.